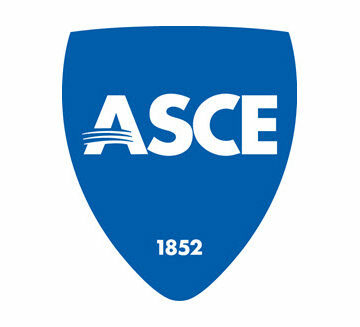 The ASCE Foundation provides grants to Student Chapters, Younger Member Groups, Sections, and Branches attending the annual Multi-Region Leadership Conferences. Applicants must show how they will use the money and build compelling cases for why they should be selected. 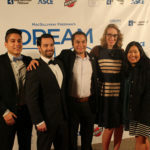 This year, the applications were so impressive the ASCE Foundation gave three grants at each MRLC. 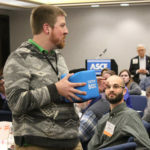 First place: Indiana Section for programming to provide professional growth and ASCE connections for the state’s Student Chapters. Second place: University of South Alabama Student Chapter for its first conference for high school students to compete in miniature concrete canoe, balsa wood bridge, and environmental contests. Third place: Point Park University Student Chapter to kickstart the Student Chapter after several years of inactivity. First place: South Dakota Section for sustainable building materials (PVC pipe, rope, etc.) for Dream Big outreach throughout South Dakota. Second place: Wyoming Section for technologies and opportunities that would allow members to hold smaller, region-specific meetings that could help foster more participation. 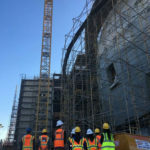 First place: Los Angeles Younger Member Forum for a new K-12 event for high school female students from title 1 underprivileged schools to learn not only about opportunities in engineering but how they can make college an option. 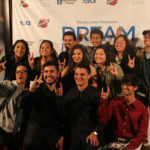 Second place: UC San Diego Student Chapter for its Seismic Outreach program that targets underprivileged schools in the San Diego area by organizing field trips and influencing STEM development in 4th and 6th graders, but it requires travel expenses and material expenses to provide the children with this valuable resource. Third place: Oregon Section to kick off its summer of K-12 STEM activities.